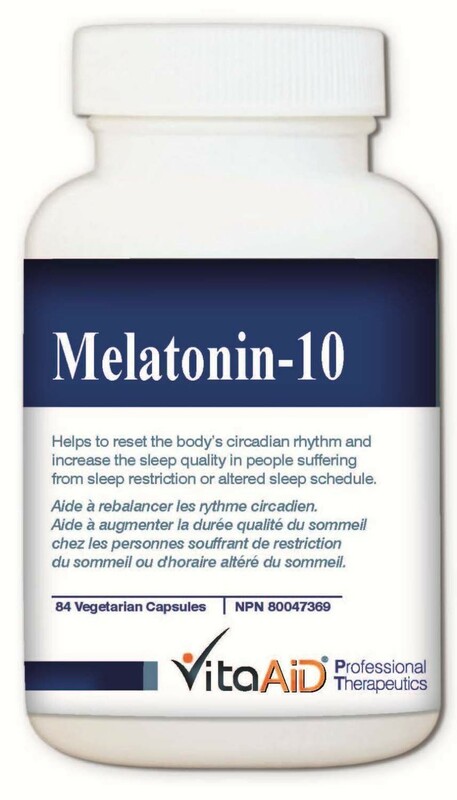 Melatonin-10 is a high dose (10mg/capsule) melatonin supplement focusing on adjunct cancer treatment with radiation and chemotherapy via its antioxidant property and hormone balancing mechanisms in the hypothalamus-pituitary-gonadal (HPO) axis. Melatonin is a balancer and stabilizer in all stages of solid tumors. Increases effectiveness of radiotherapy/chemotherapy and reduces myelosuppression (bone marrow damage) and thrombocytopenia. Improves survival time as a sole agent in terminal cancer, as well as response rate to conventional therapy in all hormone sensitive cancers. Decreases production of estrogen receptors in breast cells, and is a primary selective ER modulator via negative feedback to the HPO axis, and therefore synergistic with Tamoxifen.